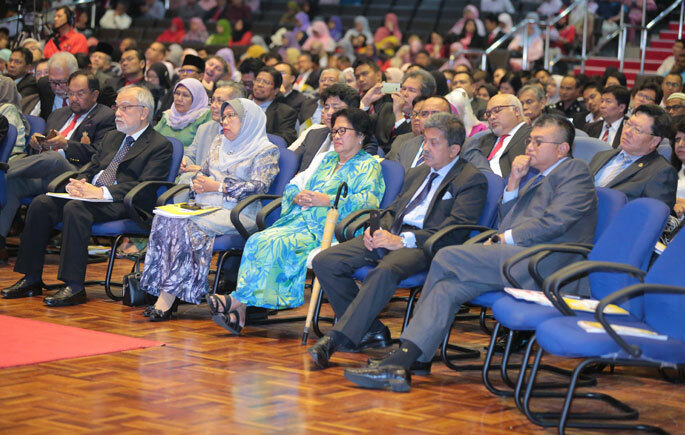 BANGI, 2 October 2017 – Good governance should be a pillar to administration upon which rests the structure, process and procedures defining the rights of all stakeholders to ensure integrity, accountability and transparency, said UKM Chancellor, HRH Tuanku Muhriz Ibni Almarhum Tuanku Munawir during the Chancellor Tuanku Muhriz 2nd Lecture, recently. 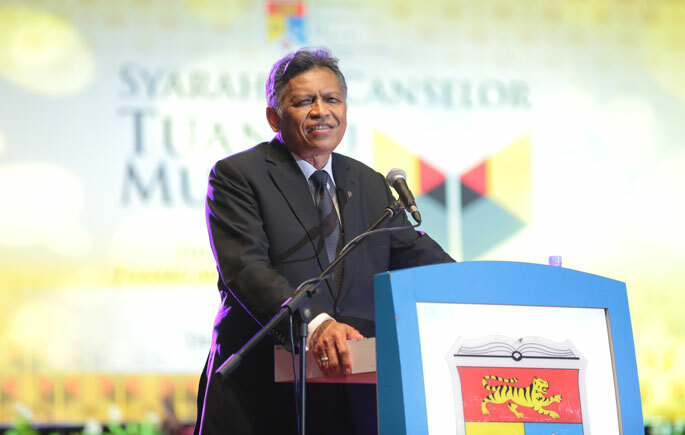 He said these are much needed values in Malaysia and he hopes that the lecture series will continue to champion various issues and enrich multiple corpus of knowledge. “It is also my hope that this sharing of knowledge by distinguished figures and scholars shall largely and positively benefit the livelihood of society in Malaysia. “I urge that this is lecture series be given wide dissemination to the media and online so that many can be aware of our effort,” he said. The lecture, titled Good Governance: Challenges for ASEAN Communites, featured former Secretary General of ASEAN, Tan Sri Dr Surin Pitsuwan. 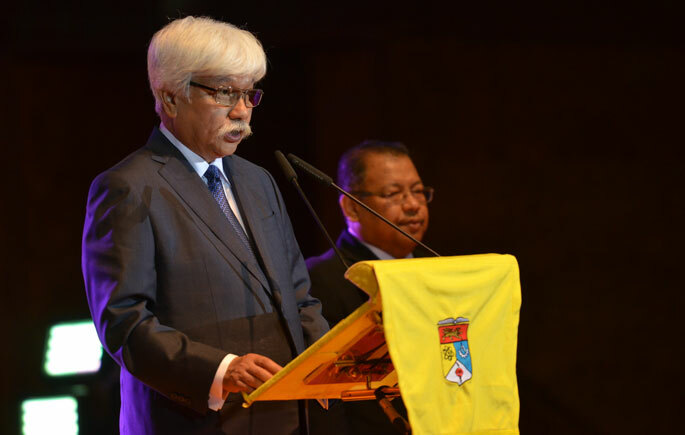 Tuanku Muhriz, who is the Yang di-Pertuan Besar of Negeri Sembilan, said as the national university, UKM should always strive to sustain its role as the repository and conduit of knowledge, as well as the generation of new ideas for the socio-economic development of society. “It’s our intention that these lectures be a platform to provide concrete solutions towards issues in public affairs, governance, integrity and law,” he said. 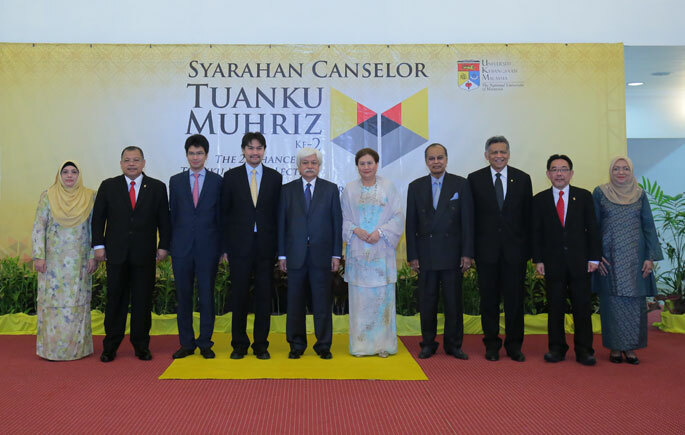 Also present at the lecture were DYMM Tunku Ampuan Besar of Negeri Sembilan, Tuanku Aishah Rohani Almarhum Tengku Besar Mahmud.